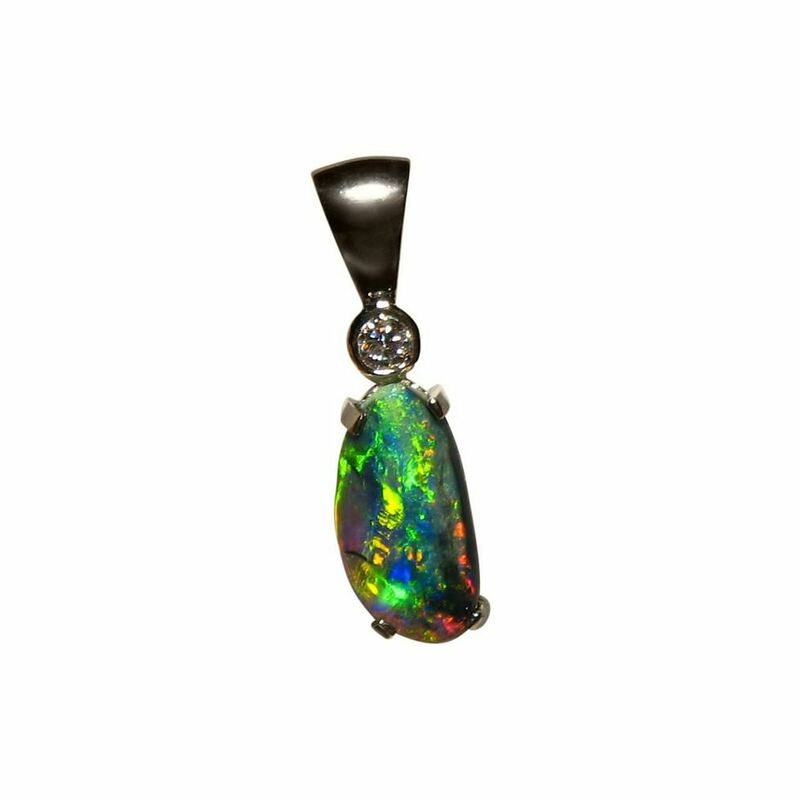 A unique Black Opal pendant in 18k White Gold with a single 3 mm Diamond accent. 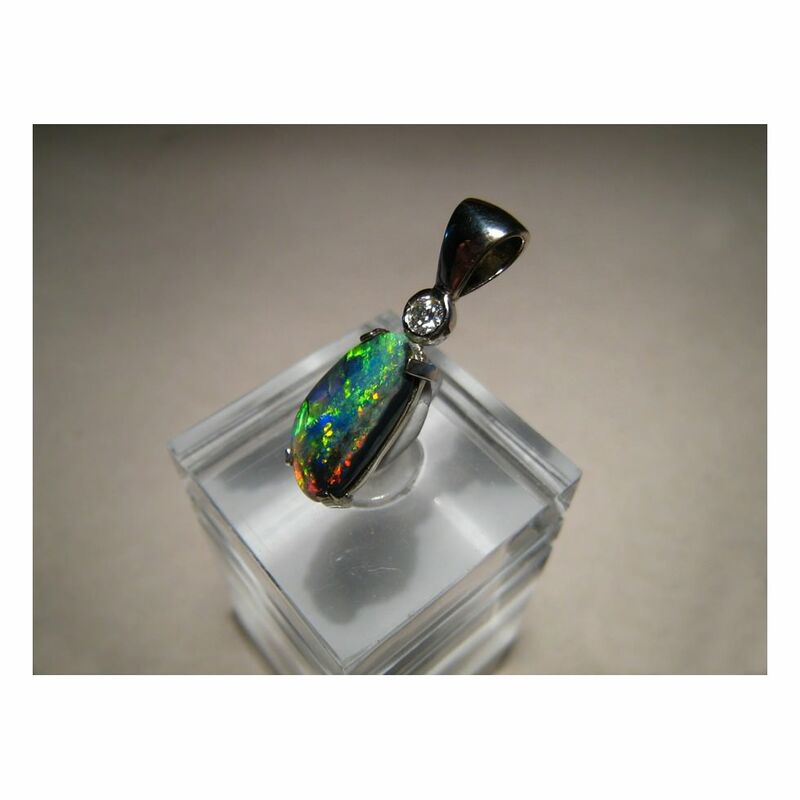 The free form Black Opal shows very bright colors in a lively pattern. 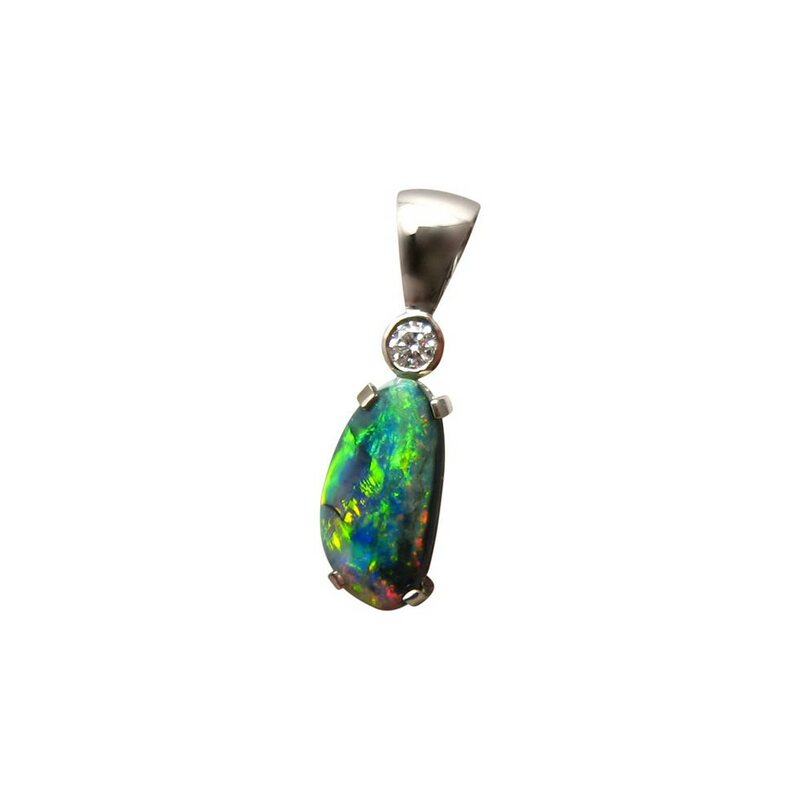 A Black Opal pendant in 18k White Gold that has a free form Lightning Ridge Black Opal accented with a 3 mm quality round brilliant Diamond. 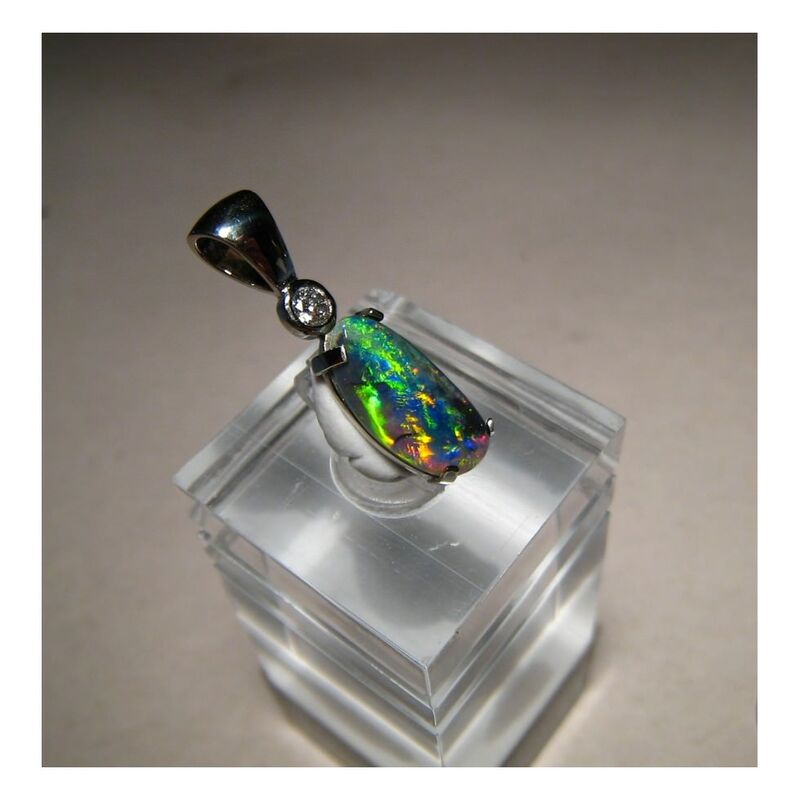 The Black Opal is unique in that it has two body tones being an N1 which is the darkest of body tones and highly desirable, and also an N6 which is Black Crystal Opal. 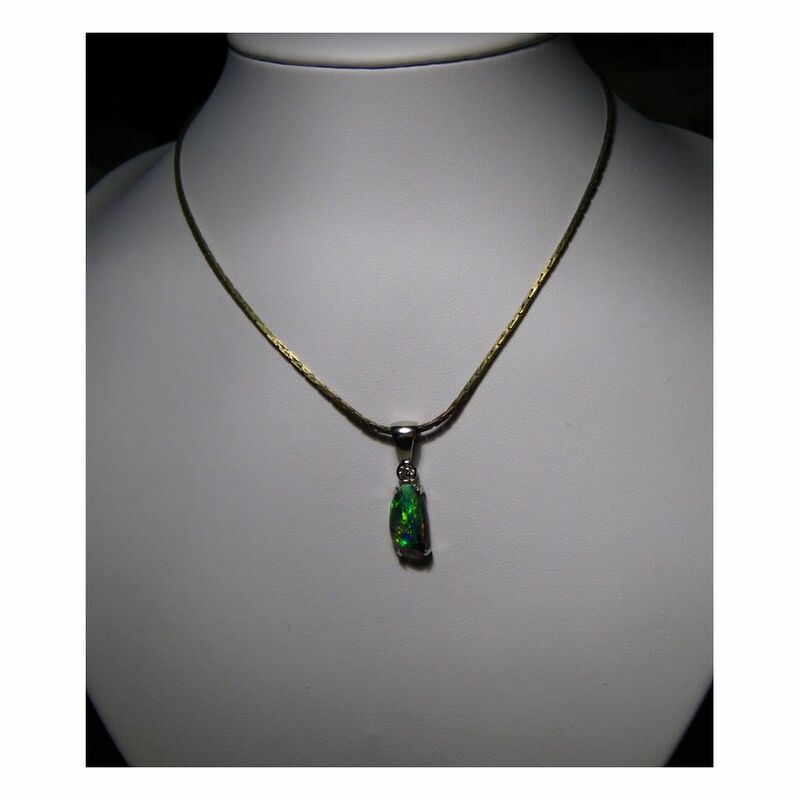 The mix of two body tones gives it a unique look with the bright colors and the video will show the lively play of color and sparkling Diamond. 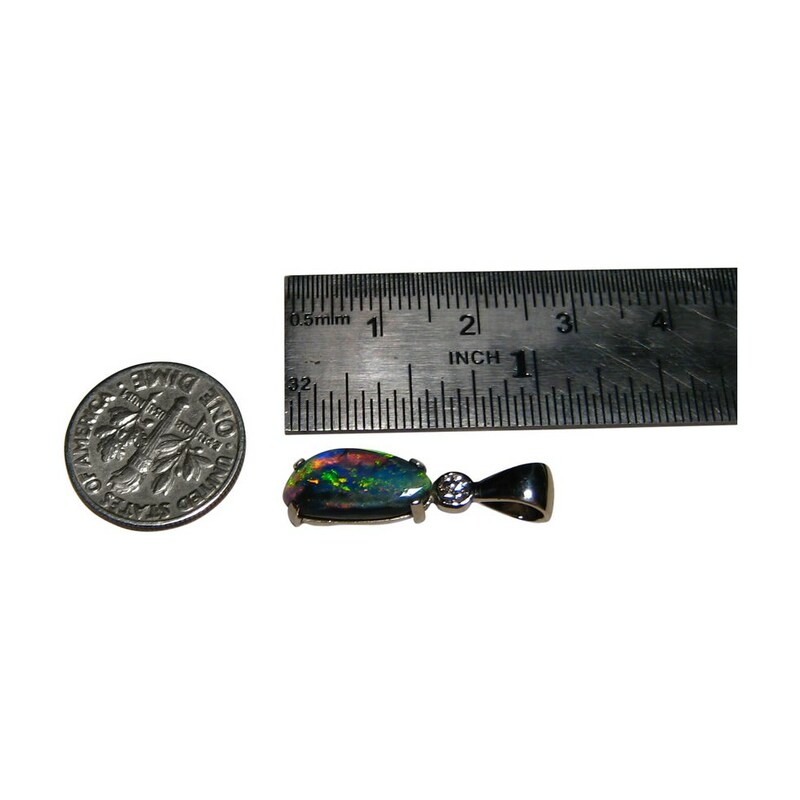 This is a one only quality Black Opal pendant that is ready to ship now and does not include the chain.